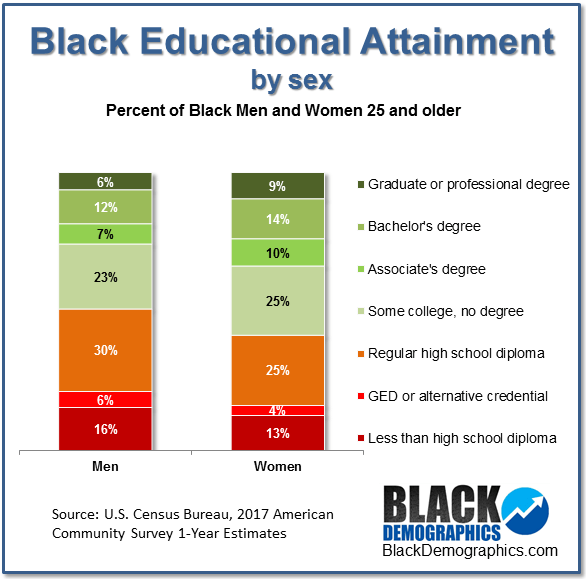 Among African Americans age 25 and older, the number who had an advanced degree in 2017 (e.g., master’s, Ph.D., M.D. or J.D.). Fifteen years earlier—in 1995—only 677,000 African American had this level of education. Number of black college students in 2017. This was a decrease from of 3.6 million from 7 years earlier (2010). 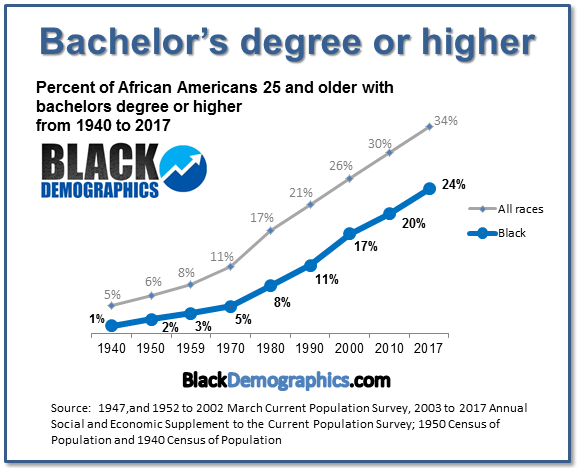 Percentage of African Americans age 25 and older who had a bachelor’s degree or more in 2017. This may be considered a substantial increase from 19.8% in 2010. 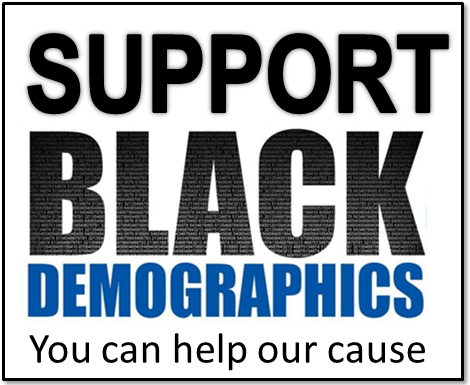 Eighty Percent of African Americans over age 25 have high school diplomas. The average number of African Americans that have at least a bachelor’s degree increased two percentage point to 19% since the year 2000. 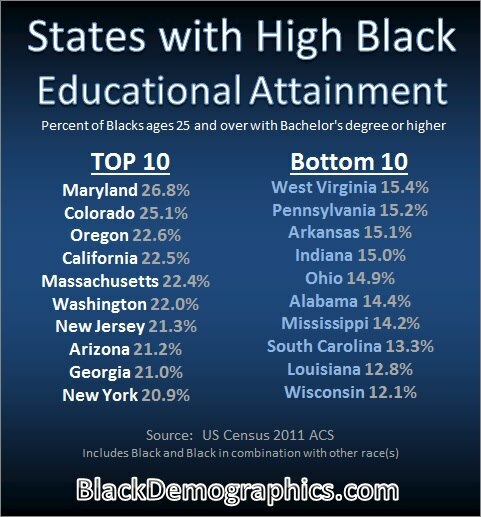 This however is still ten percentage points lower than the national average.